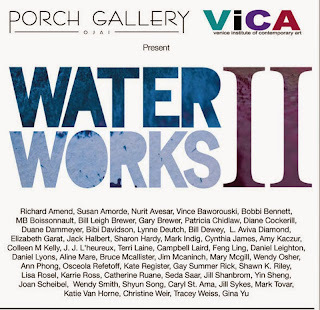 The Porch Gallery Ojai & VICA Present “Water Works II” May 9th! “Water Works II” opens at the Porch Gallery Ojai on Saturday, May 9th. 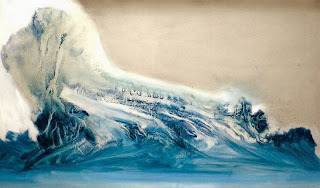 "Water Works II" is co-presented by VICA (Venice Institute of Contemporary Art) and will further spotlight the issues of water - from its beauty, to its scarcity, to its importance to human life, the politics of water, to environmental issues and beyond. 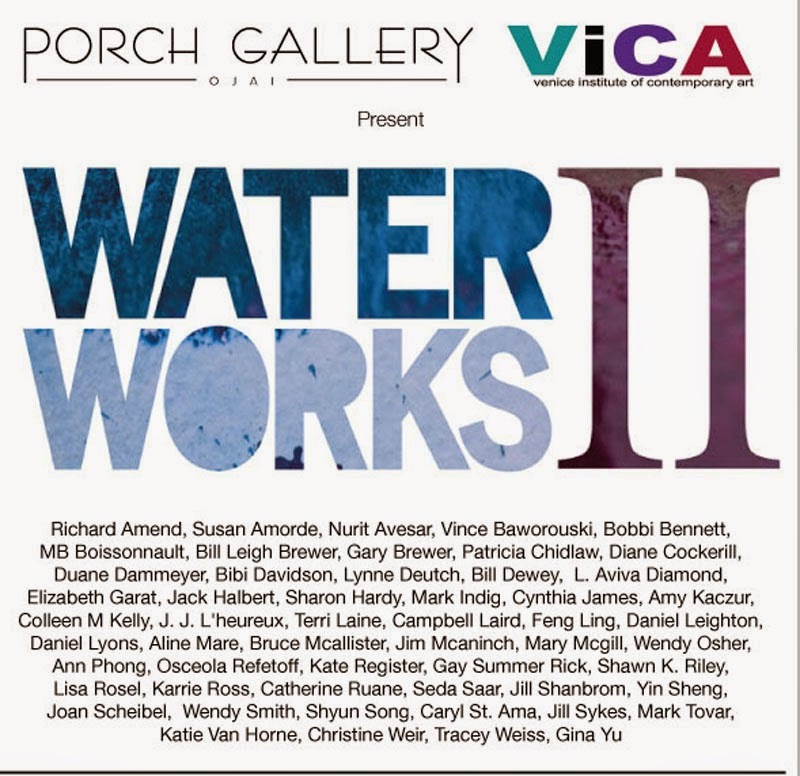 “Water Works II” was jured by Juri Koll (VICA – Venice Institute of Art), Peter Frank (Huffington Post/Fabrik Magazine) as well as co-directors of Porch Gallery Ojai, Heather Stobo and Lisa Casoni. 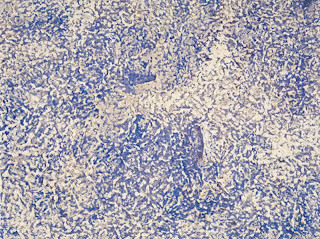 The group show will feature an eclectic mix of artists including established Los Angeles artist J.J. L’Heureux. The jurors have selected several sculptural pieces (indoor and outdoor), 2D pieces and video. At 4pm, prior to the opening reception, (next door to the gallery), there will be an art panel moderated by Koll. A local student from the Thacher School will read a poem that he wrote about water. Artists to be featured: Richard Amend, Susan Amorde, Nurit Avesar, Vince Baworouski, Bobbi Bennett, MB Boissonnault, Bill Leigh Brewer, Gary Brewer, Patricia Chidlaw, Diane Cockerill, Duane Dammeyer, Bibi Davidson, Lynne Deutch, Bill Dewey, L. Aviva Diamond, Elizabeth Garat, Jack Halbert, Sharon Hardy, Mark Indig, Cynthia James, Amy Kaczur, Colleen M Kelly, J. J. L’heureux, Terri Laine, Campbell Laird, Feng Ling, Daniel Leighton, Daniel Lyons, Aline Mare, Bruce Mcallister, Jim Mcaninch, Mary Mcgill, Wendy Osher, Ann Phong, Osceola Refetoff, Kate Register, Gay Summer Rick, Shawn K. Riley, Lisa Rosel, Karrie Ross, Catherine Ruane, Seda Saar, Jill Shanbrom, Yin Sheng, Joan Scheibel, Wendy Smith, Shyun Song, Caryl St. Ama, Jill Sykes, Mark Tovar, Katie Van Horne, Christine Weir, Tracey Weiss, Gina Yu. 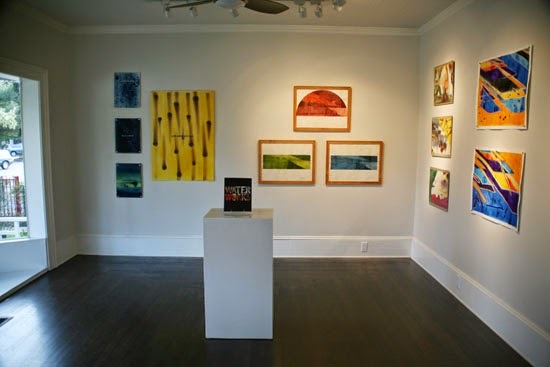 Be sure to pop by the Porch Gallery Ojai on May 9th for the art panel at 4pm and the opening reception from 5-7pm. 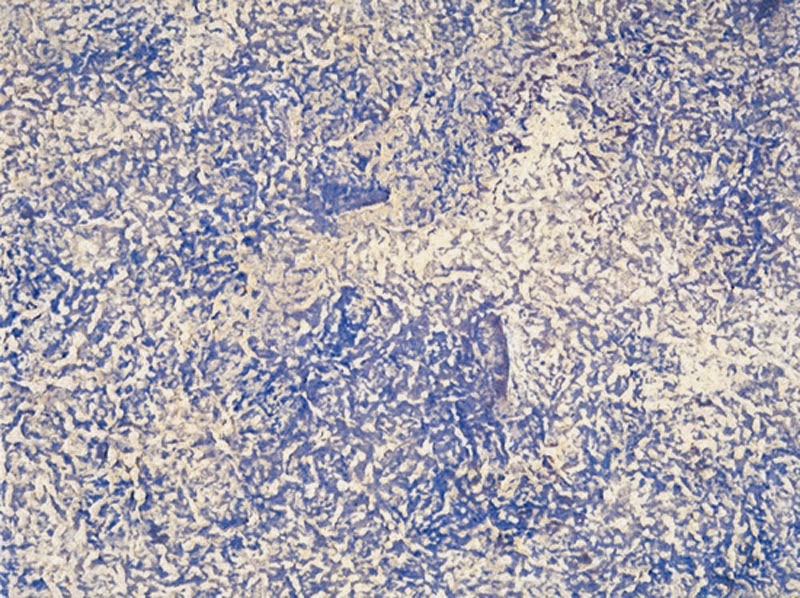 The exhibition runs May 9 through June 8, 2015. Porch Gallery Ojai is located at 310 E. Matilija Avenue, Ojai, CA. For more information please go to http://www.porchgalleryojai.com or call 805.620.7589.